On 22 January 2019 a jury at Milton Keynes Coroners’ court concluded that multiple failures contributed to the death of Ryan Harvey. 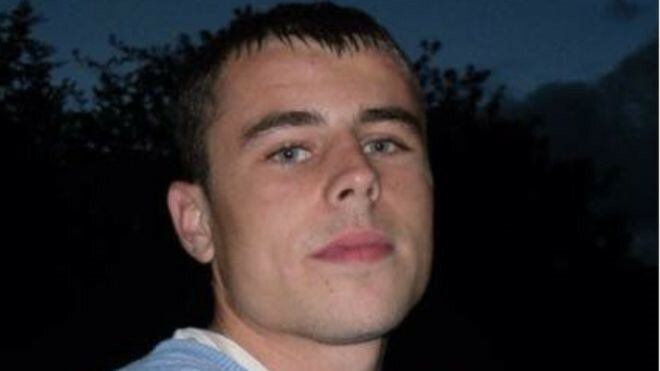 Ryan was 23 year old when he committed suicide at HMP Woodhill on 8th May 2015. His was the eighth of 18 self-inflicted deaths at the prison over a between 2013 and 2016, and the fourth on the induction wing. Ryan had learning difficulties that affected his ability to communicate and to understand the consequences of his actions. His family say he wasn’t vindictive, or nasty, he just didn’t fit into this world and didn’t think things through. Ryan was found hanging in his cell on 3rd May 2015, having been seen earlier that same evening trying to attach a ligature around his neck to the light fitting. The prison staff did not remove the ligature from his cell and said they didn’t go into Ryan’s cell because he had threatened to throw his television at them. The previous evening staff had also seen Ryan with a ligature around his neck which had led to the opening of suicide and self-harm prevention measures known as an ACCT. The jury also found that the failures to assess of Ryan’s learning disability or conduct a mental health assessment, may also have contributed to his death. They said that “a number of systemic failures and consistently missed opportunities in sharing critical information has contributed in Ryan’s death… Each level of the ACCT failed to sufficiently safeguard Ryan and his immediate needs”. Custodial Manager Joseph Travers stood trial in January 2018 for the offence of manslaughter. Travers had been in charge of the prison on the evening of 3 May 2015 and so responsible for the decision not to enter Ryan’s cell or remove the noose, although he maintained he had been unaware of the incident. He was acquitted, however the Old Bailey jury commented this case demonstrated “appalling systematic failures to provide front line staff with sufficient information as to the inmates background”. The now Governor, Nicola Marfleet told the inquest that at the time of Ryan’s death the prison was significantly short of prison officers which had impacted on their ability to save lives. The Head of Healthcare, Jo Rance, said at the time the Mental Health Team was tiny, was firefighting and balls were dropped. The family are represented by Jo Eggleton and Nick Armstrong of Matrix Chambers.